Yesterday I saw a plum of dust out on the hill top and wondered what was going on. I then saw the donkey wallowing in the dirt and thought that that would be a good “what is it”. Only thing is he wanted to be in a different spot this morning but after a couple tries I got him crowded up to that area and got the picture of the wallow with him in the corner of the picture. 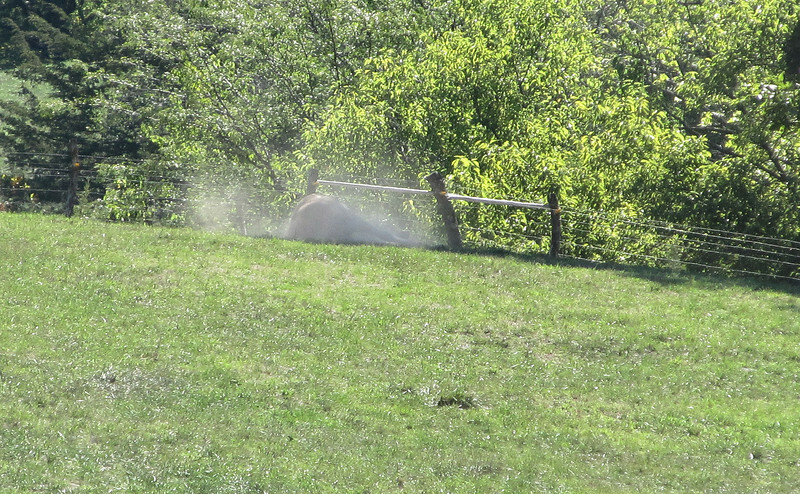 By the time I walked back to the barnyard, he had decided to take a roll in the dust. I was able to bring in the action from a distance so you can see what I wondered “what was that”.